High Burden of Proof, Few Remedies: open meetings and the law | Kautsch Law, L.L.C. The Kansas Open Meetings Act (KOMA) requires that public officials be transparent by making their meetings accessible to citizens. However, officials who fail to comply with KOMA may be penalized only if they knowingly violated the law. To avoid being found in violation, all they need to do is establish that they didn’t know what they were doing was wrong. Thus, as a practical matter, proving that officials knowingly violated KOMA is so difficult that the law is becoming useless. The lack of effective KOMA enforcement is fostering a culture the breeds the notion that public bodies are unaccountable to the public they serve. Legislative action is needed to begin to change the culture and increase transparency in the state. 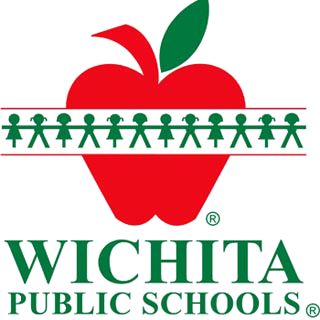 The problem with enforcing KOMA was recently demonstrated in an incident involving USD 259, the largest school district in the state, which serves the City of Wichita. There, the board went into a “week long recess” that it deemed an executive, or closed, session, during which it met at a time and location undisclosed to the public. The Wichita Eagle filed a KOMA complaint with the Sedgwick County District Attorney’s Office, arguing that “board members should have adjourned the meeting and provided notice of when they planned to gather again” and that the board violated the law when it met at an undisclosed time and place. Under KOMA, a violation occurs when a “member of a public body or agency subject to the open meetings act…knowingly violates any of the provisions of such act.” K.S.A. 75-4320(a). Even if such violation is found, unless an enforcement agency acts within 21 days of the violation, the only available remedy is for the enforcement agency to take the public body to court and convince a judge to order a penalty “in a sum set by the court of not to exceed $500 for each violation.” Id. Based on the foregoing, the Eagle argued that when the board ostensibly remained in executive session for a week, it violated the KOMA requirement to complete such a session during a recess “on the same day” as the open meeting. Moreover, because an adjournment means concluding a meeting “for a given day,” the Board’s decision to enter into a week-long executive session constituted an “adjournment,” and the KOMA, in K.S.A. 75-4319(a), expressly prohibits entering into an executive session after adjournment. Like Kansas, some other states also require that a KOMA violation must be committed “knowingly”. However, most of those states, including Texas and Nebraska, also have a serious enforcement option that is absent from KOMA. That option is to charge those who “knowingly” violate open meetings laws in criminal court, which can result in a member of a public body facing incarceration for up to one year and being ordered to personally pay a fine. If a member of a public body is faced with a potential loss of personal liberty or property, requiring proof of a knowing violation makes sense; it is somewhat akin to “reasonable doubt” in a criminal case. 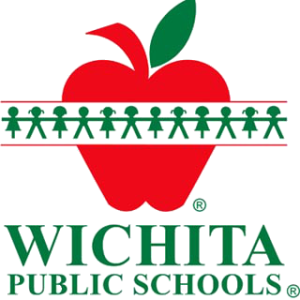 But with the incident involving USD 259, the only penalty to which the board was exposed was a civil fine up to $500.00 that would be paid by taxpayers. This is a meager penalty, consisting of a fine that wouldn’t even be by officials out of their own pockets. Why should such a penalty be imposed only if officials provably knew they violated KOMA? Perhaps KOMA could be amended to include a penalty specifically devised for officials who violate the law but do so unknowingly. The penalty for such officials could be a requirement that they undergo training in how to comply with the law. After the training, a more severe penalty could be imposed if they again violate KOMA. Replacing “knowingly” in KOMA with “willfully” could give enforcement agencies such as the Sedgwick County DA’s office more latitude in finding KOMA violations. Rather than a requirement that the board provably knew the law and broke it anyway, the use of the word “willfully” would allow for findings of violation in instances where circumstantial evidence could establish a pattern of behavior that amounts to a “conscious” violation, whether such violation is committed “knowingly” or not. (a) Any member of a public body or agency subject to the open meetings act who knowingly willfully violates any of the provisions of such act or who intentionally fails to furnish information as required by K.S.A. 75-4318(b), and amendments thereto, shall be liable for the payment of a civil penalty in an action brought by the attorney general or county or district attorney, in a sum set by the court of not to exceed $500 for each violation. Alternatively, the Legislature could consider specifying that fines are to be paid personally by the members of the public body who have violated the law, as well as establishing criminal penalties for such violations. However, proposing the payment of personal fines or criminal penalties for KOMA violations is in all likelihood a non-starter, given testimony on the matter when expanded Attorney General open government enforcement powers were implemented. Still, one way or the other, KOMA must be amended so that either the burden of proof to establish a violation is more reasonable, the penalties for such violations increase, or both. Max Kautsch is the Kansas legal hotline attorney for the Kansas Press Association, the Kansas Association of Broadcasters, and the Kansas Sunshine Coalition for Open Government. Send him an email here.